One of our "Power 100 Vendors"
North America Channel Marketing Manager, Intel Corp.
Paula is a dynamic influential leader with 15 years of experience within Fortune 100, mid-size and entrepreneurial organizations where she has developed teams that create, manage and execute highly effective marketing strategies to deliver brand growth across global markets. Paula is an expert in leveraging the latest communication methods, market research and data analytics to achieve key business goals. An astute communicator with hands-on expertise in every aspect of modern communication platforms, Paula is a elationship-builder and deal-closer with a proven track record of fostering innovation and aligning strategies, people and products to accelerate breakthrough growth. 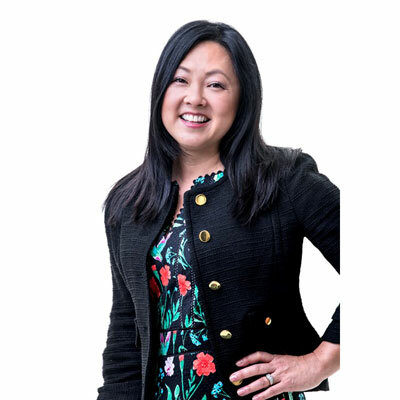 Paula led, defined and drove the Americas channel engagement strategy that supports an annual revenue of $6B through the Intel Technology Provider partner program. This included driving a tightly integrated worldwide plan into the Americas membership strategy for channel customer relationships. Paula also encouraged sales through the program by driving brand positioning, recruiting new members, planning membership benefits, and overseeing sales content and training requirements. Reducing program complexity and increasing the "ease of doing business" remains a key focus. While one-off escalations are relatively easy to resolve; we are investing in process and tool improvements to improve this at a systemic level. Ann Curry - she was the one public figure I that could relate too because she looked like me. She is courageous in her ability to show vulnerability and she has the grace to know when to lean out. Being different is a good thing. Take delight in everything that makes you different. In the end, it doesn't matter how pretty you are or what clique you are in - those things won't determine your success in life. Have faith in yourself and don't be scared of being bold. I would learn to speak Spanish. Any time you can foster better communication, its a win-win for everyone. "All the Light We Cannot Se"e by Anthony Doerr It was one of those books that you became emotionally attached to. The main character is a sixyear-old girl named Marie-Laure LeBlanc. She is shy, yet courageous and resourceful. Most importantly she assumes the best intentions of people.